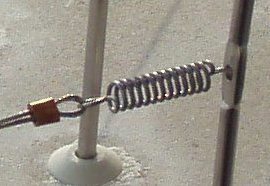 Stainless Steel high tensile micro spring for use in-line with gull wire, to maintain the tension of the wire between posts. 1 spring is used between every 2 posts. When used with the Gull Wire they act as a great seagull deterrent and at a very competitive price.